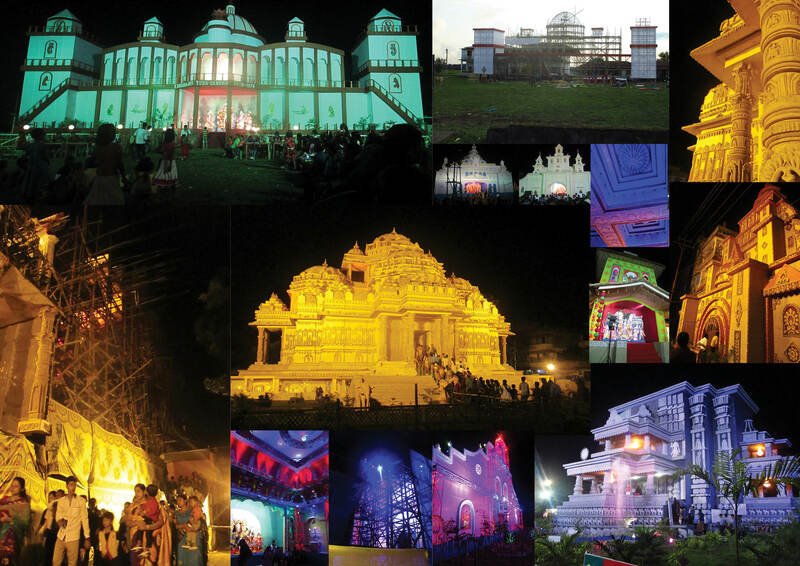 This shows some of the many Pandals (temporary temples) built in the area for the Durga Puja (religious festival). Each community would erect one. They were all very impressive! They were built using a bamboo frame then covered in fabric to make them look like solid buildings then decorated using recycled or cheap materials. Some used recycled CDs, some had water fountains, some used papier mache to look like stone. All were lit up beautifully at night. During the festival people would travel around to see them. There was a sense of pride attached to each one and there is a prize offered to the best one.